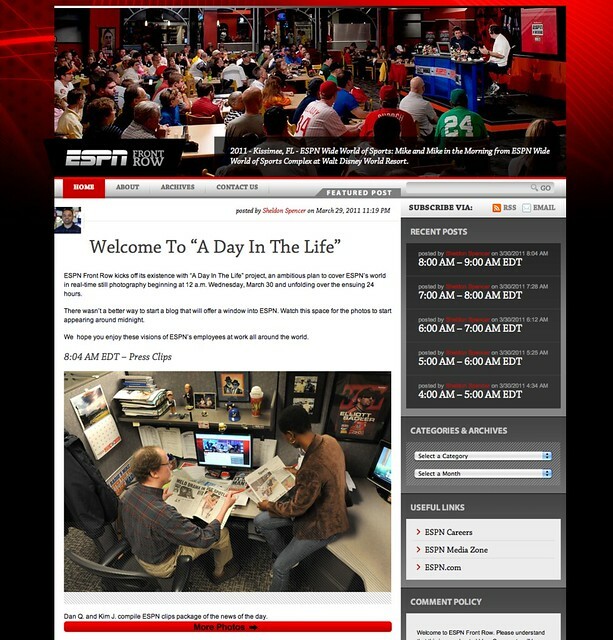 Matt Leiker has all the details on a new Voce project that launched today: ESPN Front Row. They’re kicking off the blog we a 24-hour behind-the-scenes look at ESPN. Cool stuff.